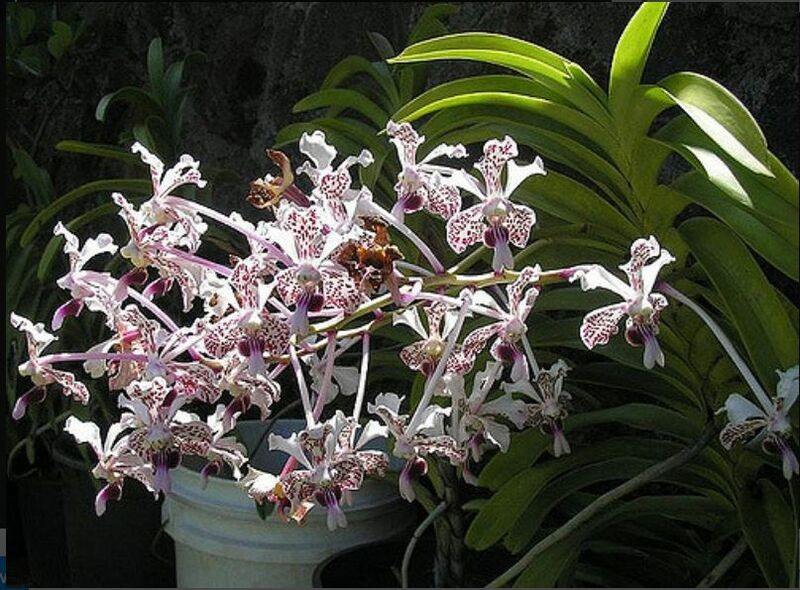 Found in central and eastern Java as a large sized, hot growing epiphyte, lithophyte or terrrestrial with long, erect stems carrying curved, ligulate, imbricate, unequally bilobed apically leaves that blooms on an axillary, erect to suberect, 2 to 3" [5 to 7 cm] long, shorter than the leaves, 15 or more flowered inflorescence with large, fragrant, waxy, long-lived, color variable flowers occuring in the fall and winter. 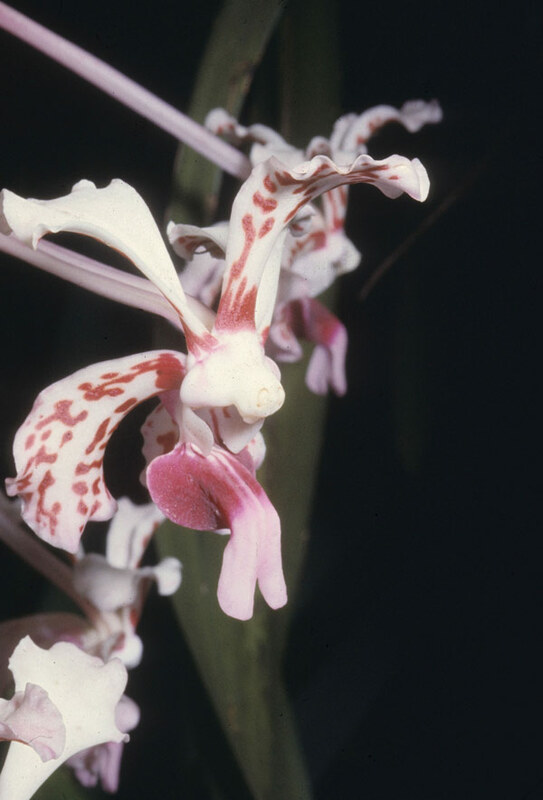 V suavis, which hails from central and eastern Java has an inflorescence with 15 or more flowers, narrower and longer sepals and petals and the apical lobules of the lip are turned abruptly downwards and are paler than the rest of the midlobe. 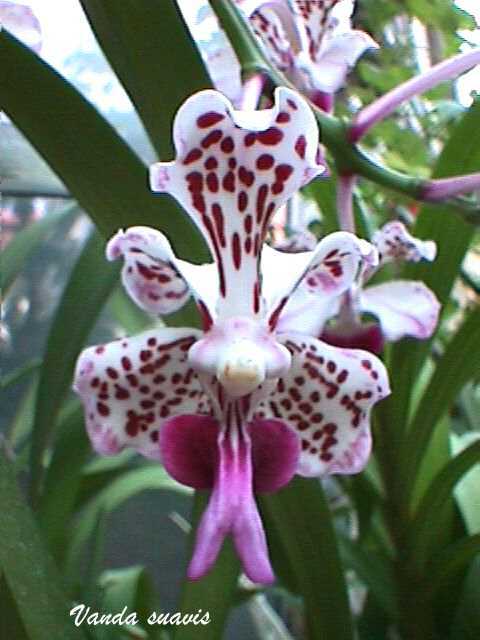 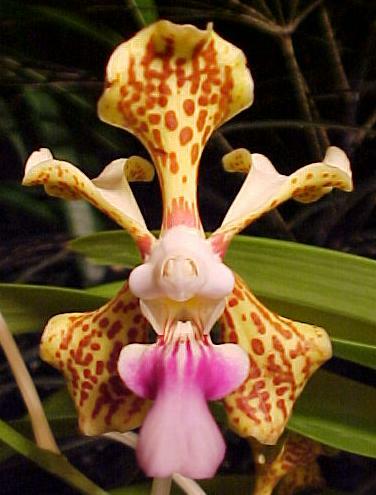 Then there is the similar Vanda tricolor from west Java which has an inflorescence with 6 to 9 flowers, the sepals and petals being different in width and are shorter, the side lobules being erect, and they and the midlobe are evenly colored.